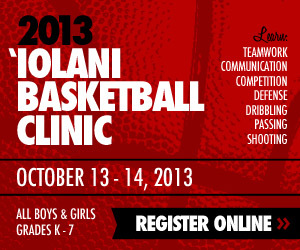 There are no gimmes for the University of Hawai’i basketball team. 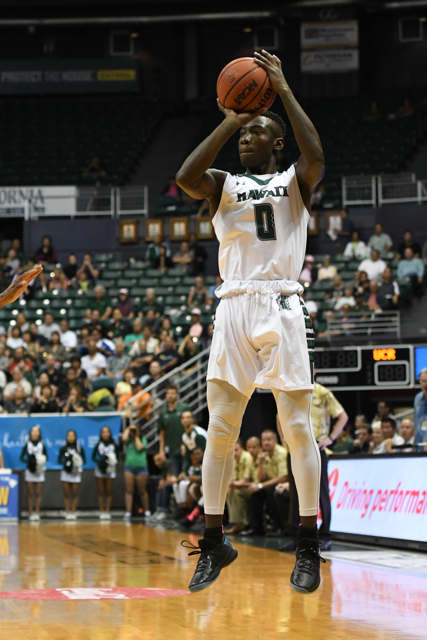 The Rainbow Warriors learned that the hard way on Wednesday, but they’ll get another chance to show what they can do against a lower-ranked opponent on Saturday. Three nights after an upset loss to last-place UC Riverside, the Warriors will host second-to-last CSUN in a Big West Conference game at the Stan Sheriff Center. It is scheduled to start at 7:00 p.m., and will be televised in Hawai’i on Spectrum Sports (channels 16/1016). Hawai’i is 13-9 overall and 4-5 in the conference following a shocking 64-60 home loss to previously winless UC Riverside. CSUN is 5-19 and 2-8. The Warriors are on a four-game losing streak; the Matadors are on a five-game losing streak. The teams have already met once this season, with the Warriors taking a 65-46 road win at Northridge, Calif., on January 6. 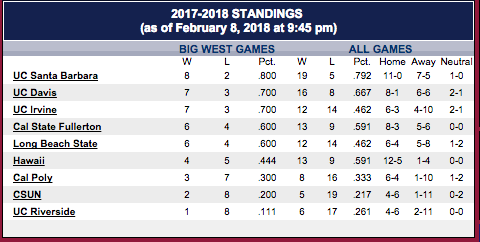 Much has changed since then, particularly for Hawai’i, which was briefly alone in first place after the first five conference games of the season. The Warriors are now in sixth place, while the Matadors are in eighth. CSUN has struggled in several key areas all season. The Matadors currently rank last in the conference in scoring (64.1), rebounding (32.0), rebound margin (-4.7) and assists (11.8). The Matadors’ only Big West victories this season came against UC Riverside and Cal Poly. Those are the same two teams that recently beat Hawai’i. CSUN is led by Tavrion Dawson, a 6-foot-8 senior forward who is averaging 16.2 points and 6.3 rebounds per game. He had 12 points and seven rebounds in the loss against Hawai’i last month, but shot 5 of 20 from the field. Micheal Warren, a 6-5 senior guard/forward, is averaging 12.5 points and 6.1 rebounds per game. Terrell Gomez, a 5-8 freshman point guard, is contributing 11.3 points and 3.6 assists per game, and leads the Matadors with 48 3-pointers and a .457 percentage from 3-point range. Lyrik Shreiner, a 6-3 sophomore guard, had 11 points and seven rebounds in the loss to Hawai’i, and is currently averaging 8.0 points and 4.3 rebounds per game. Hawai’i senior forward Mike Thomas had 24 points and 11 rebounds, and shot 10 for 11 from the field, in the win at CSUN last month. He leads the Warriors with 13.6 points and 6.1 rebounds per game, and a .594 field goal percentage. 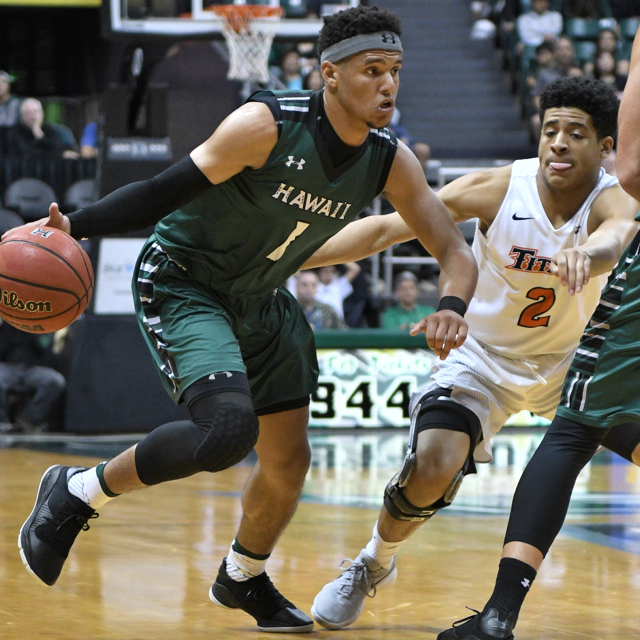 Hawai’i head coach Eran Ganot made drastic changes to the starting lineup in Wednesday’s game against UC Riverside, including freshman Samuta Avea and sophomore Zigmars Raimo getting the first starts of their respective collegiate careers. The starters for Saturday’s game against CSUN will likely be a game-day decision, but the players in the rotation for playing time should remain constant: Brocke Stepteau, Drew Buggs, Leland Green and Sheriff Drammeh at guards; Mike Thomas, Gibson Johnson, Jack Purchase, Avea and Raimo at forwards. Buggs had 11 points and 11 rebounds in the win at CSUN last month. He and CSUN point guard Gomez appear to be the leading candidates for Big West Freshman of the Year. The Warriors have a couple of streaks on their side when it comes to the series with CSUN. Hawai’i has won the last seven meetings against the Matadors, a streak dating to 2015; also, since joining the Big West in the 2012-13 season, Hawai’i is 5-0 against CSUN in the Stan Sheriff Center. Promotions: Texaco is the sponsor of Saturdays “Cartoon Character Night” game and will award Texaco gift cards during their halftime contest. Fans can register to participate at the sports marketing table located at Gate A. Fans are encouraged to wear their favorite cartoon character apparel or costumes. I think Brocke said it best.. need to play with some passion and trust each other. Felt awkward to them, and kinda through them off. hope it’s the original starting lineup for this game.